Commuting with a minimalist scooter instead of an SUV produces a gas and emisssions reduction of close to 90%. Of course, contrasting bigger scooters with smaller cars produces figures that are less impressive, and, unless one uses an electric scooter or another alternative fuel, fossil fuel is still being used and greenhouse gasses are still being produced. It may be many years before alternative fuels become enough a part of the US driving scene to be a comfortable alternative and, though we hope that switch will come sooner rather than later, as long as fossil fuel dominates, motorscooters are certainly an excellent way to reduce fuel usage and emissions. 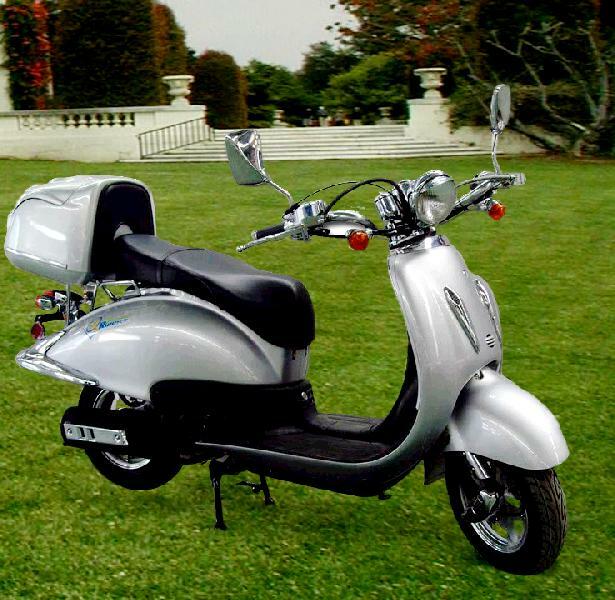 Although some efforts are being made to produce good alternative fuel motorscooters (See The Yamaha hydrogen fueled FC-AQEL), we are still waiting for something that is actually in production, let alone something reasonably priced. We feel It is not enough to drive an eco-friendly vehicle as serious ecological impact can only happen if there is overwhelming acceptance of benign transporation solutions. Universal access to cheap, reasonably well made and well supported motorscooters could possibly inspire a critical mass move that could have a significant positive ecological impact. 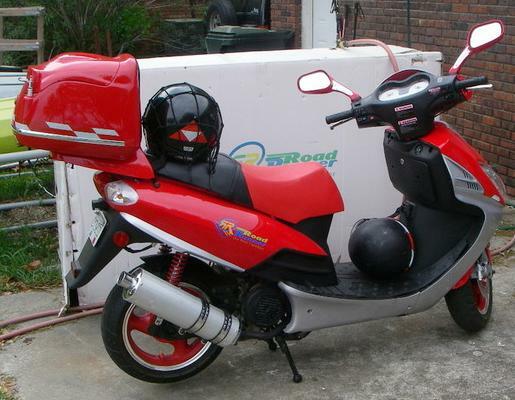 The scooter is clearly the easiest first vehicle to acquire (See Motorscooter Freedom) and clearly the most economical (See Motorscooter Economy) to drive and the stage is thus set for a fad that could be of great benefit to all living things. Since 1985, the average weight of passenger vehicles has continued to climb, and of course at the same time, the mileage of the behemouths has gone down. Pushing around massive steel structures easily requires ten times as much power as it would ideally take to move just passengers and cargo (See Fuel Efficient Driving) and of course, scootering is the nearest thing there is to pushing only passengers and cargo.